Year after year, with AccuGuide you have repeatable guidance, as tight as plus or minus 1 inch (2.5 cm). And, by minimizing skips and overlaps, you can improve your agronomic performance through precise seed placement. Accuguide comes factory equipped on select models or can be retrofitted to your current equipment. 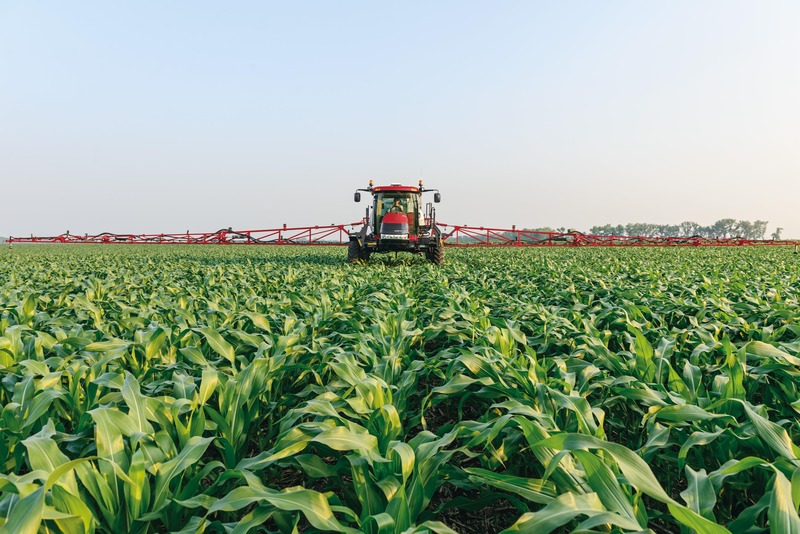 Steiger® Quadtrac®, Magnum™ and Puma® tractors; Axial-Flow® combines and Patriot® sprayers can be equipped with factory-installed AccuGuide autoguidance, delivering convenience and quality control. AccuGuide can also be retrofitted. AccuGuide requires an AFS Pro 700 Monitor and AFS 372 Receiver. The Case IH AFS AccuGuide navigation controller, AFS Pro 700 touchscreen display and AFS 372 receiver are extremely portable and can be used across various types of equipment. AFS AccuGuide ensures pass-to-pass accuracy and reliability, regardless of the season or operation. Pick from one of the guidance patterns (field, circle, curved, heading, spiral and straight) to reduce overlaps and skips and to begin saving money on input costs and labor. Accurate, hands-free assisted steering reduces operator fatigue through long hours of operation. Two mounted mechanical touch sensors sense row position. RowGuide can be used in fields planted with our without auto guidance. Both the sensors and the GPS signal provide guidance input, so you can be assured your combine stays on course. Automated hands-free end-of-row autoguidance utilizes industry-leading path-planning logic to maximize your productivity and efficiency. AccuTurn functionality can be used on any new and existing Case IH Steiger®, Magnum™, Optum®, Puma® or Maxxum® tractors equipped with AccuGuide™ autoguidance and an AFS 262/372 receiver, NAV II/ NAV III controller and AFS Pro 700 display. Service and support for all of your AFS Products can be found while coordinating with your Case IH AFS Certified Dealer. You’ll talk with an AFS support engineer who is 100% dedicated to keeping you in the field. Contact the AFS Support Center at 1-855-4AFS-HELP (1-855-423-7435). ​Explore Case IH AFS auto guidance tools for repeatable accuracy. ​Case IH AFS certified dealers have a trained AFS sales specialist on staff to help you advance your farm. Find a dealer near you.